Curly Maple and Bocote Chessboard. 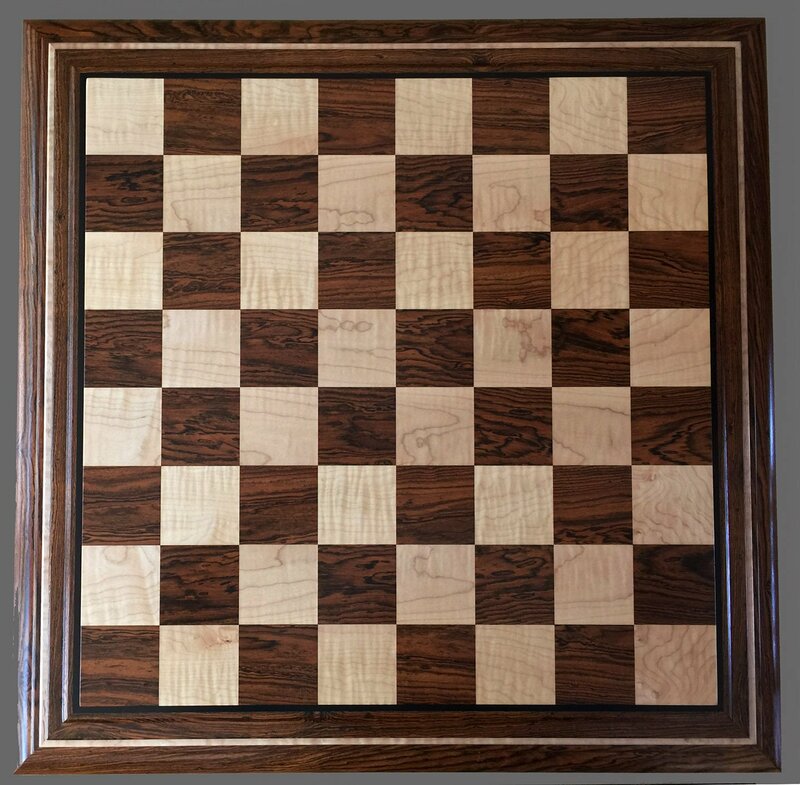 A Curly Maple and Bocote Chessboard with raised 2-1/2″ squares of Bocote and Curly Maple and a solid Bocote frame, Curly Maple inlays and an Ebony delimiter. The chessboard measures 25″ square. 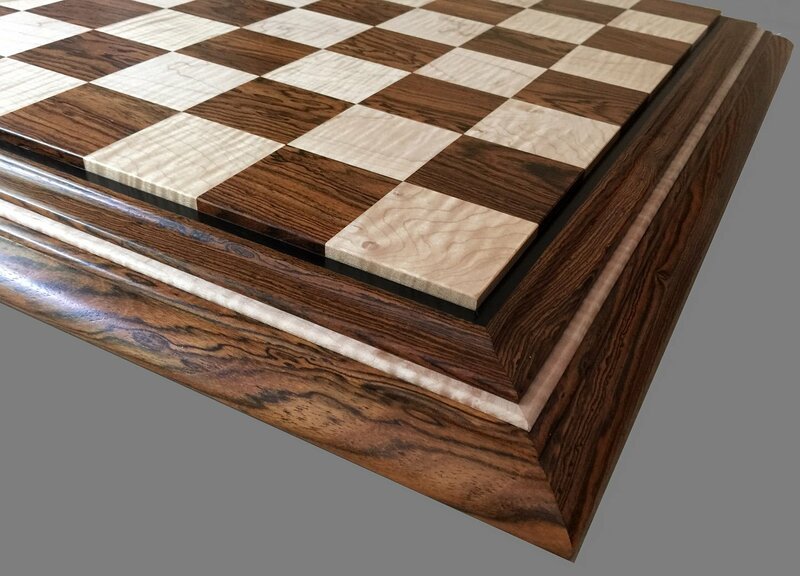 This Signature Contemporary Chessboard, with its unique raised playing field, was designed by Frank Camaratta and crafted by Joel Will. The chessboard is new. Curly Maple is traditional hard maple (sugar maple, rock maple, hard rock maple) with a flowing, almost holographic, wavy figuring. In the North, during the cold nights and warm days of late winter, the sugar maple is tapped for its sucrose-containing sap, the source of maple syrup. Until the turn of the century, the heels of women’s shoes were made from maple. Curly Maple has been a favorite of American furniture makers since early Colonial days..